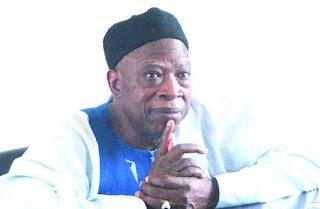 The senator representing Nasarawa West in the National Assembly, Abdullahi Adamu has spoken on the reported N70 million belonging to the Northern Senators Forum, NSF, allegedly swallowed by a monkey. Speaking in an interview with Daily Trust, the senator said the allegation was made to give him a bad name following his position on the electoral act amendment bill. According to him, “In order to give a dog a bad name, they now went to say that they had N70m that I mismanaged or whatever. The NSF, to the best of my knowledge, has never had N70m, at least not during my tenure that they purported it was mismanaged. “We inherited something in the region of N62m/N63m that was declared by the outgone secretary of the forum who happens to be the present Senate Leader, Ahmad Lawan. “I didn’t touch one kobo until when we were going to Katsina for the NSF retreat. When we were going, we got the same guys to sign for the transport fares. “Every senator that attended was paid N250, 000 as allowance for his two days and everyone also got N150, 000 for return ticket. They got these and they signed. The remaining money was returned to Abuja and was paid back into the account. He insisted that this started when he protested the change in election ssequence. He added, “I believe as a senator, it is not over because they will transmit it to the president for assent, he can sign it and he may decide not to assent to it. “Remember, on the floor of the senate, they are saying they will override him (the president) as if they are in a motor park. They said so freely as if they had a grudge against the president. “As a senator, I started talking to people who shared opinion with me on the passage of the bill. We are talking on it and yes, I have been holding meetings on it. “I have a right of association, a fundamental right in the Constitution of the Federal Republic of Nigeria and the fact that my position as a senator has not been taken away from me. “There is no law that says that if a decision is taken on the floor of the senate, right or wrong, a senator has no right to talk to anybody outside the chamber on the matter; there is no such law. “So, I have decided to be having meetings here, I have been having the meetings and I will continue to have the meetings.